When you embark on a tour of Africa with Cosmos, you get insights and cultural interactions that turn your once-in-a-lifetime Africa tour into a truly one-of-a-kind vacation experience. On your escorted tour, you can explore captivating Morocco and it's rich history and culture, historical sites and authentic cuisine.In 2019, Cosmos introduces exciting newer vacations to Africa. 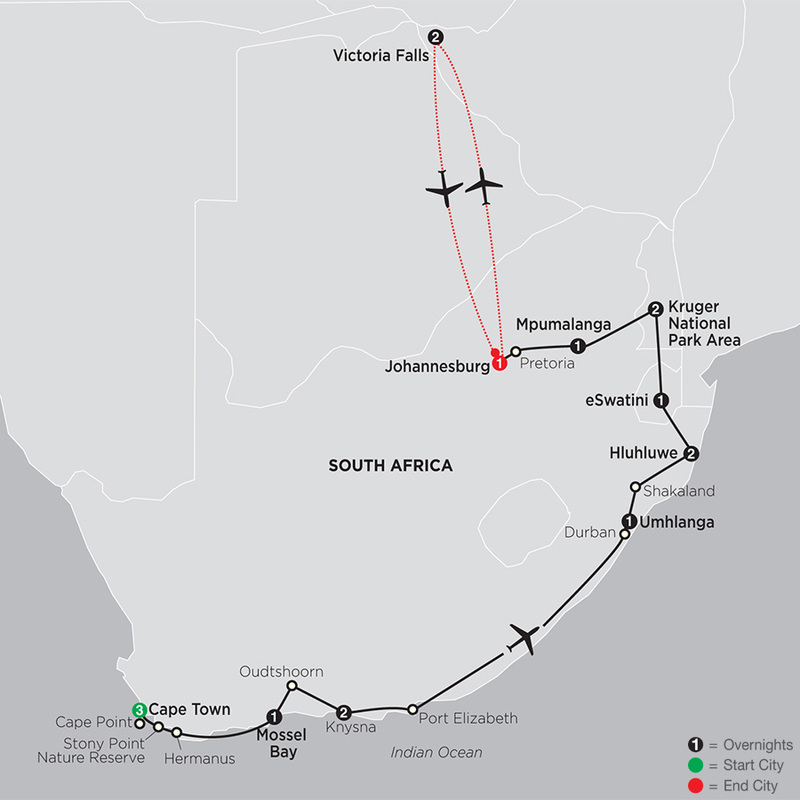 Delve into enthralling game drives at Kruger, stunning scenery at Cape Town, and fun experiences along the tour at South Africa. Get up close to the wildlife in the Kenyan Safaris to capture the perfect photograph during the easy game viewing! 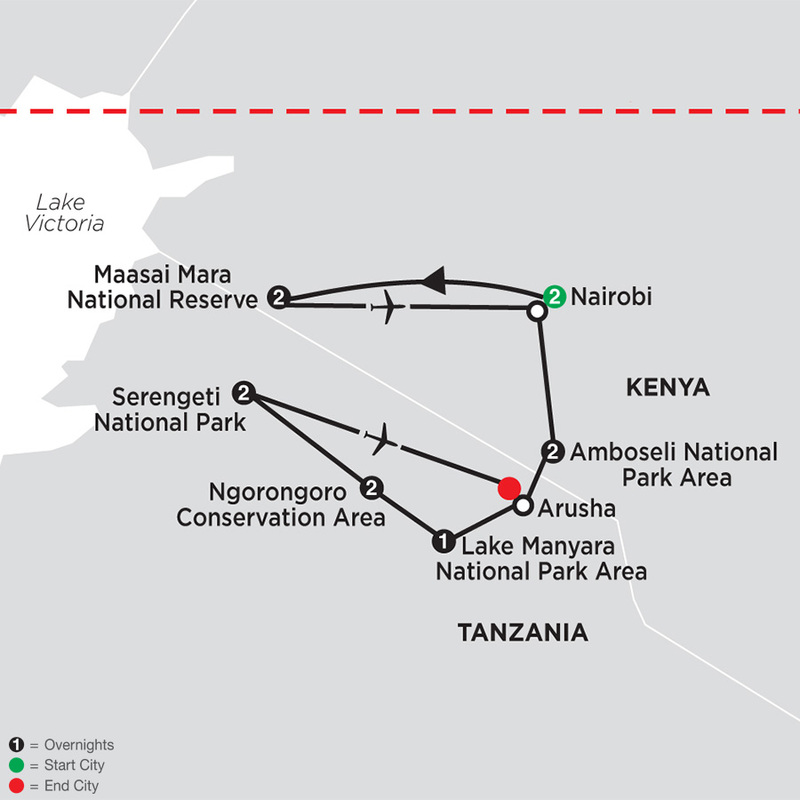 Visit Mount Kenya National Park, Lake Naivasha National Park and more. See Africa the way it’s meant to be seen - with Cosmos. Have questions about Africa Tours? Talk to an expert now! From historical sites to natural wonders, you tour of Dubai, South Africa, and Victoria Falls is an adventure like no other.